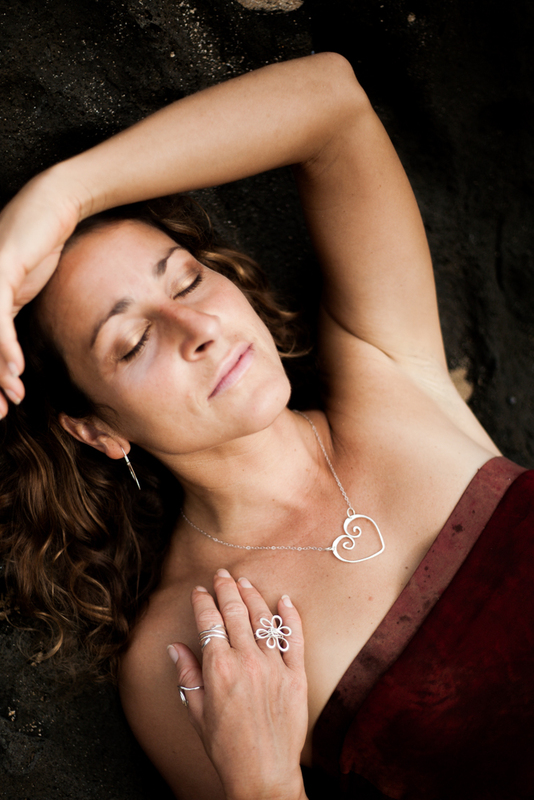 Hawaii Jewelry Maker, Artist and Metalsmith, Toni Cordas, grew up in Ohio and spent 12 years in the forests of the Pacific Northwest and California, working as a USFS Wilderness Ranger, before moving to the Hawaiian Garden Island of Kauai to pursue her dreams. 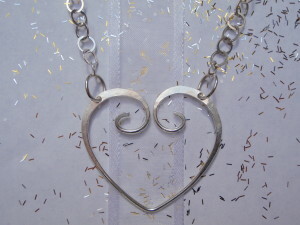 Today, Toni owns and operates Hawaii Jewel, a custom, handcrafted jewelry design business offering unique, exquisite rings, earrings, necklaces and bracelets formed from Gold, Silver and Tahitian Pearls. 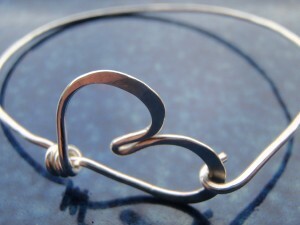 Love makes the world go ’round. 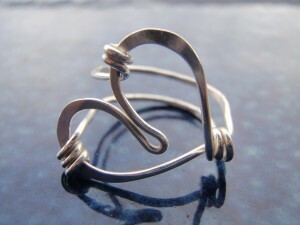 I try to capture the love I feel in every day living, through these whimsical and sometimes asymmetrical hearts shaped out of wire. 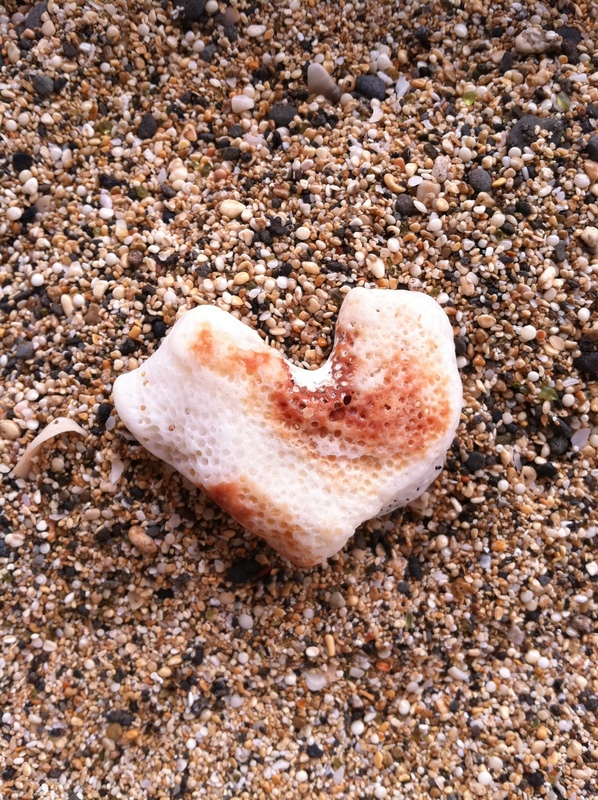 Live, laugh, love….what else is there? 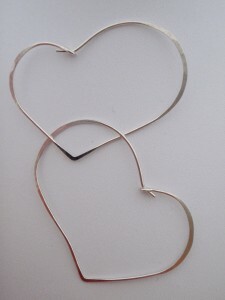 Wearing a heart piece of jewelry reminds us that love is the most important thing in our lives. Everything else is trivial and petty. 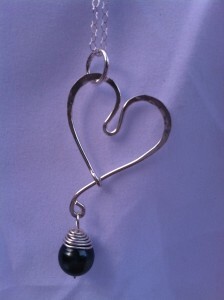 I am a woman in love and I like to share this in my artwork, so that everyone may feel love! 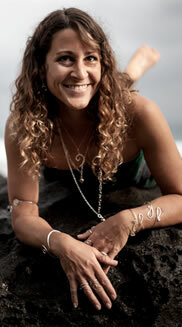 Toni created Hawaii Jewel to offer contemporary, nature-inspired Hawaiian jewelry designs and collections. 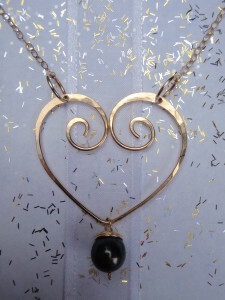 Each exquisite heart jewelry design is handcrafted using Toni’s metalsmith skills shaping gold and silver, plus integrating Tahitian Pearls into memorable, unique heirloom Hawaiian jewelry from her on Kauai’s North Shore. Beautifully hand made and signed by Toni, Hawaii Jewel jewelry arrives with Aloha, direct from Kauai, Hawaii’s Garden Island paradise. 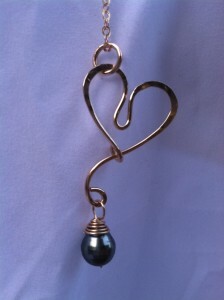 Hawaii Jewel offers several unique, handcrafted gold, silver and Tahitian Pearl Heart Love jewelry designs in rings, earrings, necklaces and bracelets. 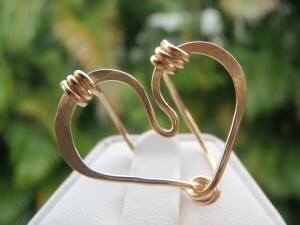 Explore Hawaii Jewel’s heart jewelry and love-inspired designs below.